With both a French and a Dutch territory and the ability to travel freely between the two, St Maarten is sure to make even the biggest culture buff happy. The island also boasts 37 beaches and is the home of dozens of outdoor activities, on and off the water. From zip line tours to fishing and sailing charters, the adventure won’t ever stop. If you’re looking to celebrate on your vacation, spend time at one of 12 casinos, or relax with a drink at a local beach bar. 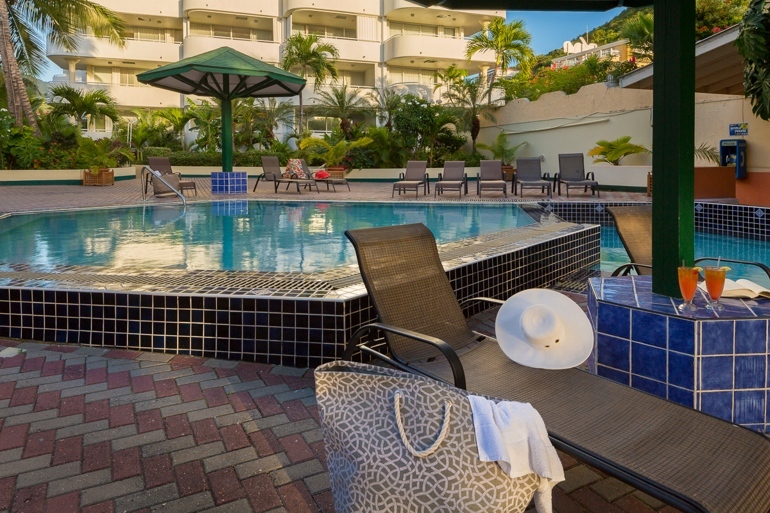 Minutes from the actions, you’ll find the Atrium Resort, Newly renovated vacation rentals can sleep anywhere from 2 to 6 and feature spacious balconies with breathtaking Caribbean views. Units offer kitchenettes or kitchens, perfect for preparing yourself a quick meal between activities. The property also offers many resort style amenities including a spa, swimming pool, and concierge services. These features combined with its vicinity to the St. Maarten attractions will have you quickly calling the Atrium your home-away-from-home.